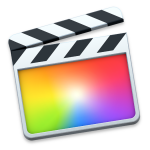 Final Cut Pro X is a revolutionary video editing application that helps beginners and seasoned professionals achieve stunning results. In this three-day, hands-on course, students become familiar with the user interface while they learn how to perform editing functions. Students work with real-world media to learn practical approaches to video editing—from basic techniques to the powerful advanced features of Final Cut Pro.